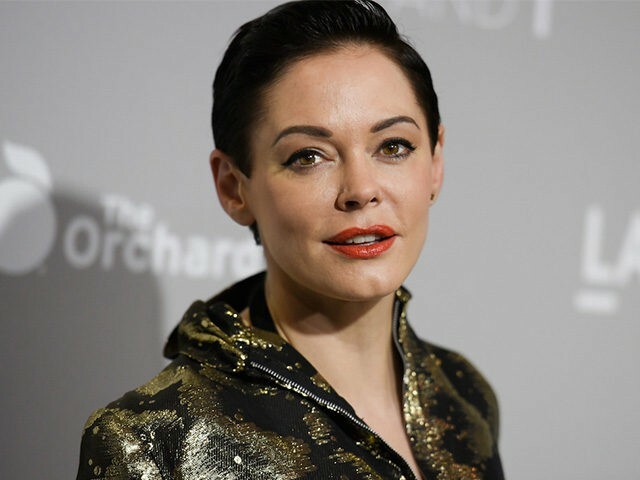 So far there appears to be only one hero in the mushrooming story surrounding decades of sexual harassment and sexual misconduct allegations against Hollywood producer Harvey Weinstein, and that hero is actress Rose McGowan. Compare McGowan’s story to Ashley Judd’s. According to Judd, she was sexually harassed by Weinstein way back in 1997. Moreover, Judd admits she knew of other women who had been harassed. Nevertheless, Judd did not come forward until now. Instead, she chose to remain silent for 20 years, even during those few years when she was a powerful movie star. It is only now, after her movie career flamed out, after she has done two Weinstein films, that she has decided it is time to blow the whistle. McGowan, however, at the tender age 24, and just when her career was starting off in 1997, did not remain silent about Weinstein’s alleged misconduct. According to the New York Times, she raised legal hell “following an incident in a hotel room during the Sundance Film Festival” and won $100,000 from the mogul. That is an extraordinarily brave thing for a young actress to do, especially when her film career is just starting to take off. While her reported settlement with Weinstein requires that she remain silent about the specifics in her case, McGowan has not remained silent about the overall scandal. In a statement to the Hollywood Reporter, she called on the entire Weinstein Company board to resign. According to the Times, “one-third of the company’s all-male board” has already resigned. Moreover, after initially contemplating a leave of absence, the widening scandal forced the remaining board to outright fire Weinstein on Sunday. “Bob” is Bob Weinstein, Harvey’s brother and longtime business partner. Bob is also co-chairman of the Weinstein Company, and while there are no allegations of any kind of sexual misconduct against Bob, he is famous for being every bit the bully Harvey is. The question, though, is what did Bob know? The other question is what did the board know? According to the original story, Harvey Weinstein settled eight sexual harassment settlements over 20 years. Did Harvey pay these out of his own pocket behind the board’s back? Behind his brother’s back? Moreover, Harvey’s alleged sexual misbehavior has been an open secret in Hollywood for decades. At the very least, Bob Weinstein and the remaining board members have a number of serious questions to answer.